Jan Zumbach was born on April 15, 1915 in Ursynów, back then a village on the outskirts of Warsaw, now a district of Warsaw. His paternal grandparents were Swiss and gave him the foreign-sounding name. Until the start of World War II he served at the fighter squadron 111. In September 1939 he escaped through Romania to Beirut and to France. After the capitulation of France in 1940 he managed to get to England. In England he joined the newly formed Kościuszko Fighter Squadron 303 in Northolt. His first victory in an aerial battle came already in September of the same year, when he shot down German bomber Dornier Do215. Two days later he shot down a Messerschmitt. In the following days of the Battle of England he shot down a few more enemy planes. In total, during this great battle of World War II he shot down eight Luftwaffe airplanes (seven confirmed, one unconfirmed). For his merits he was awarded, among others, the Silver Cross of the Military Order of Virtuti Militari. He also received Cross of Valour four times and was awarded the British Distinguished Flying Cross twice. After demobilization in October 1946 he left the military and taking advantage of his double citizenship he settled down in Switzerland. He lived the life of an adventurer, smuggler and fought as a mercenary in Africa. In Africa in Byafra, a country which existed for less than three years (1967–1970) in South Eastern Nigeria he was given the opportunity to command the country’s air force and accepted the offer. 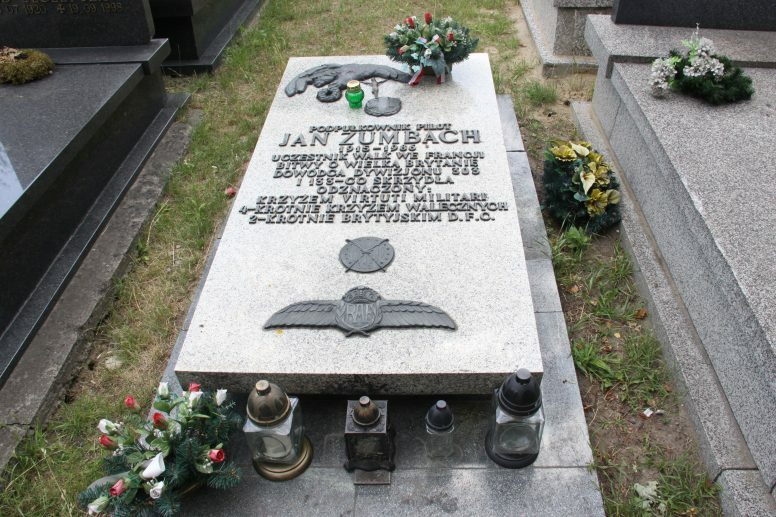 During his service in Polish Air Forces in the West Jan Zumbach was known for putting various characters on his airplanes. For example, Donald Duck in various versions was one of his emblems. 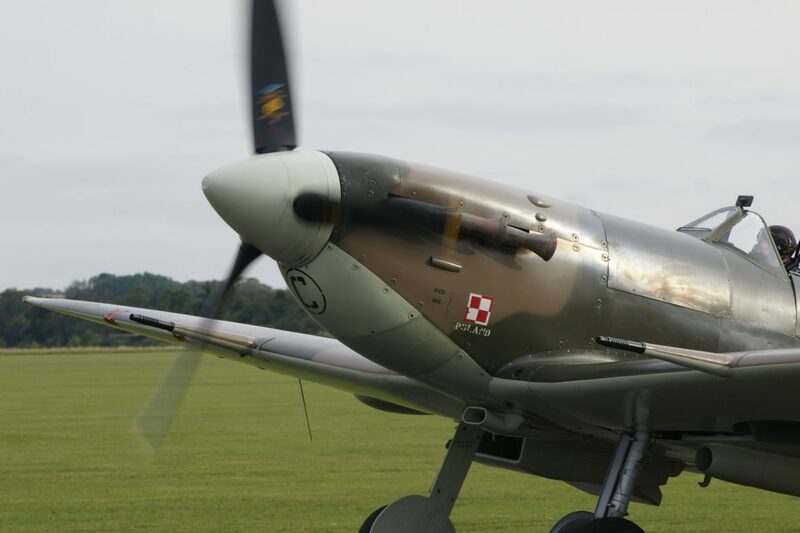 Now the characteristic colours of EN951 “RF-D” together with an image of Donald Duck and the logo of Kościuszko Squadron, which distinguished Jan Zumbach’s airplane, can be found on a specimen of Spitfire Mk.Vb airplane owned by the historical squadron of the Royal Air Force in Great Britain (Royal Air Force), called Battle of Britain Memorial Flight. Jan Zumbach died on January 3, 1986 in France, at the age of 70, under unclear circumstances. 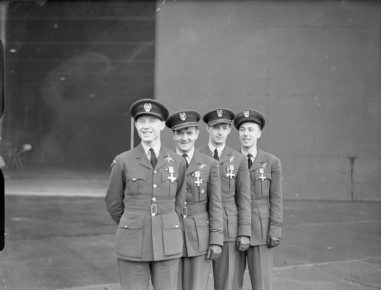 The first four Polish recipients of the Distinguished Flying Cross Polish Fighter Squadron 303 RAF, wearing their awards after a presentation ceremony by Air Marshal W Sholto-Douglas at Leconfield, Yorkshire. Left to right: Squadron Leader Witold Urbanowicz, Pilot Officer Jan Zumbach, Pilot Officer Mirosław Ferić, Flying Officer Zdzisław Henneberg. 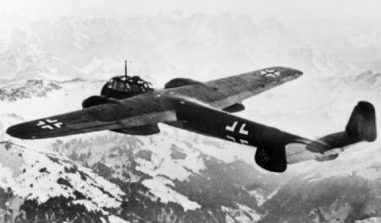 A German Dornier Do 215B bomber in flight. The Do 215 was fitted with Daimler Benz B 601 V12 piston engines.